Buying a harness for a dog is a very responsible decision. 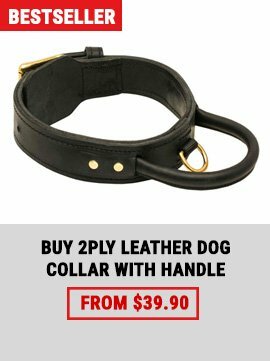 You should carefully choose it for your own pet. We will help you in this not so easy task. 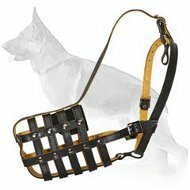 First of all harness should be of a good quality. 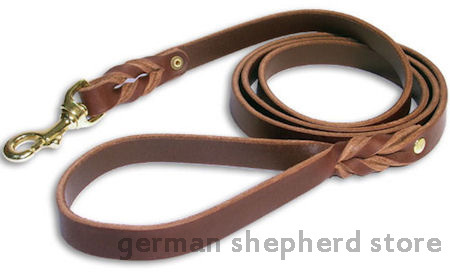 Secondly it should fit your German Shepherd properly (if the measurements of your dog were made correctly). 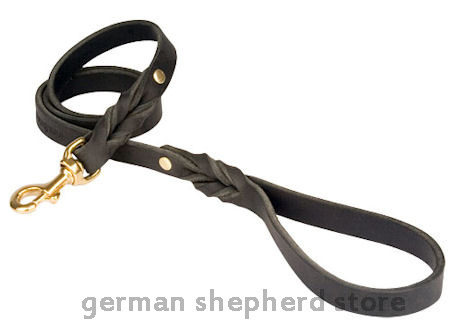 That's why we want to present you this Agitation/Protection Leather Dog Harness. It is specially designed for German Shepherd Dog and has all features that have been mentioned above. 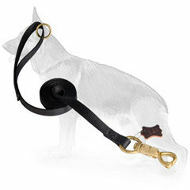 Your beloved doggy will also feel free, safe and comfortable in this harness. What can be better? Selected strong leather for a powerful breed. The material which this harness is made of plays the most important role. 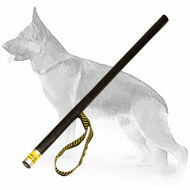 It is necessary to have quality piece of handmade working dog equipment on your lovable pet. 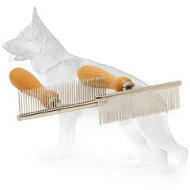 Our designers always choose best materials to create fancy and strong dog stuff. Complete comfort is provided. Agitation work is very exhausting and stressful. 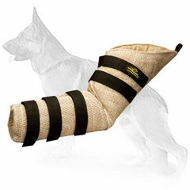 It is necessary for your dog to have maximum possible comfort. 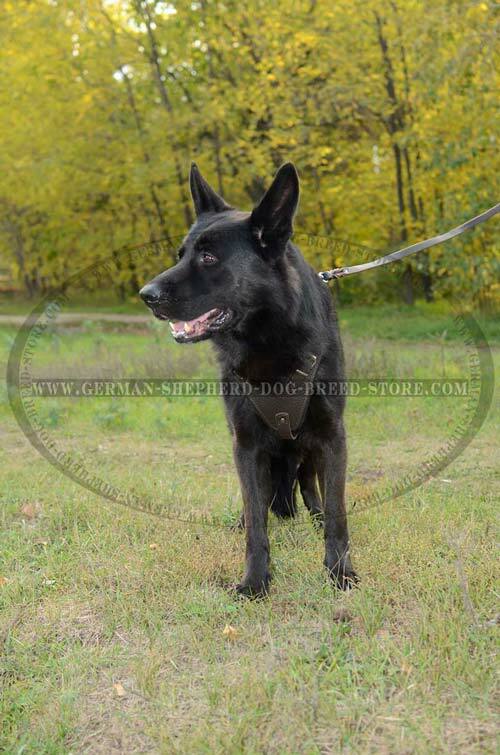 That is why this harness has a precisely designed breast plate that is lined with extra thick felt to offer supreme comfort for your dog and to absorb the shock of a strong dog hitting during bite work. 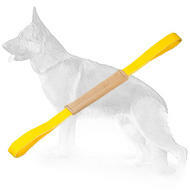 It is flexible and will not rub or cut into the skin of your dog. Designed so the resistance is distributed along the shoulders but not on the throat. 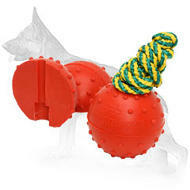 Our agitation harness allows dogs to bark and attack rather freely and still be restrained enough. 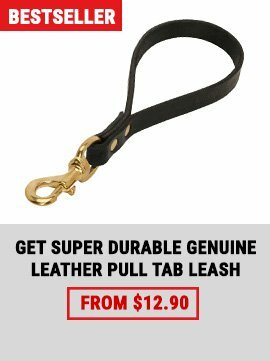 Extra durability for heavy duty harness. 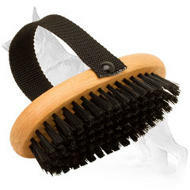 Excellent basic material with quality components like strong straps assembled by using capped rivets for extra durability. 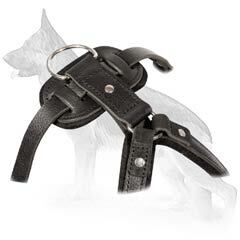 Selected leather with nickel plated buckles and rings that won't rust for a long time. A special D-ring is stitched and riveted so it won't tear off. Unbelievable adjustment. It is not common that dog harnesses have four ways of adjustment but this one does. 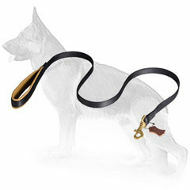 Once all straps are adjusted, the dog harness can be quickly put on the dog by using only one buckle and a strap. Quick release buckle will save your time. 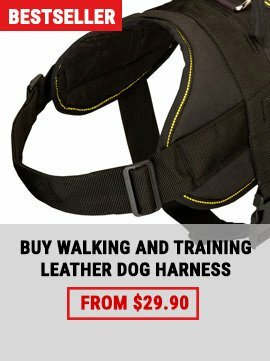 Due to it you can easily put the harness on and off the dog. Various kinds of usage. The German Shepherd Dog is a breed that is desirable as police, guard, search and rescue dogs, as he is able to learn various tasks quickly and interpret instructions better than other large breeds. 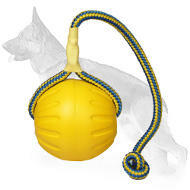 It is obvious that with this harness your dog will perfectly fulfil many tasks. 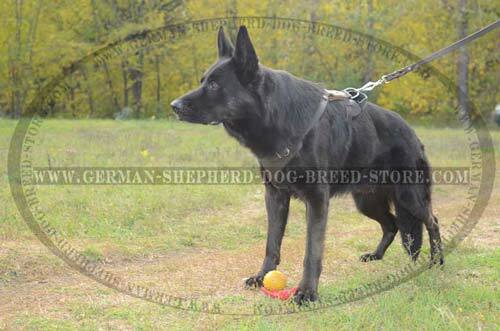 This Heavy Duty Protection Harness is valuable tool for agitation work, designed to withstand the rigors of professional K9 duties. Our Protection Harness will quickly become your favorite trial or training equipment! Handmade work is the most valuable feature. 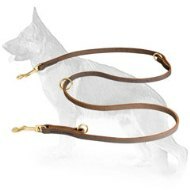 With so many advantages comes the last one but not least advantage of this harness - it is handmade and you will assure yourself of this with your own eyes when you get this harness. All the love and care of our working staff will be felt by your dog. All stitches are perfectly made for this harness not to rip up during hard task performing. 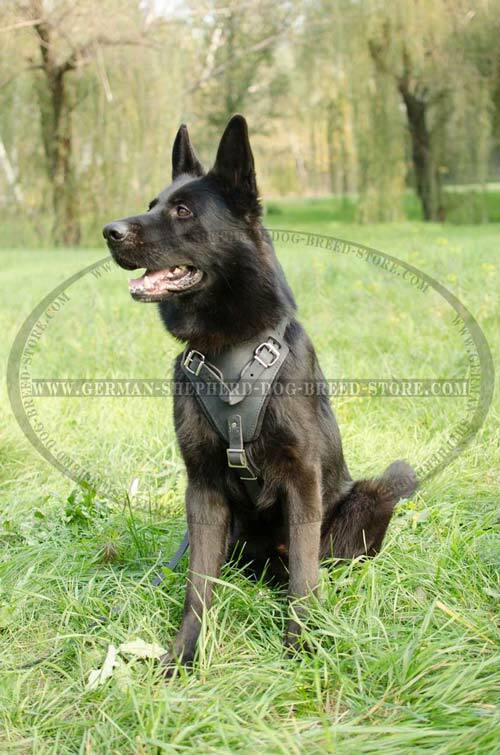 You should know that when your dog is properly measured that will be enough for making good fit German Shepherd harness. If someone says – don’t worry and order this harness, it will fit your dog for sure, you should be alerted – this is simply not true, some products have generic sizing but it is always good to check an exact sizing info, as not all dogs have same body, and head shape and size. 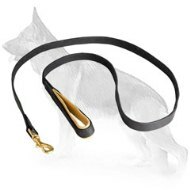 If you want, you can choose the leash of a matching color. Please note that leash snap and rivets are golden color.